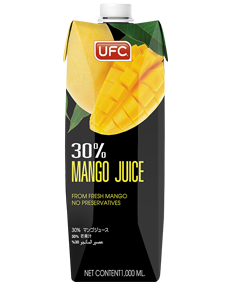 UFC 30% Mango juice is made from fresh mangoes not from concentrated. It has refreshing natural sweet and sour flavour and is filled with ripe mango fragrance. This product does not contain any preservatives, sugar and food colouring.